Is your hair rough, dry and damaged? If yes, then you might be struggling with your hair every day. You need not worry as you are not the only one who is suffering from damaged and rough hair but a large proportion of people are. 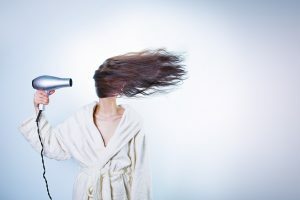 There are many causes behind this situation of your hair which include the use of chemical shampoo, poor diet, medication, stress, and lack of nourishment etcetera. The causes vary from person to person and so does the solution. But there is a common solution for all types of hair problems and that is the use of Natural hair care products. The natural hair care products for dry hair include chemical free shampoos, conditioners, hair masks, serums and hair gels. These natural things impact strongly on hair and scalp and thus are the things that should be implemented by the sufferers on priority. Proper nutrition to the hair and scalp is something that you should pay attention to alleviate the dryness of your hair. Nutrition can be given in the form of oil or by eating nutritious and balanced meals. Eat fruits, vegetables and make sure to drink more and more glasses of water in a day. Also, massage your hair and scalp with natural hair oil twice a week. These things will nourish and moisturize your hair. Never forget to apply an organic conditioner when shampooing your hair. A regular and deep conditioning will recover the lost moisture and nutrients. Also, it will add volume and make your tresses shiny and smooth. Blow dryers and flat irons are wonderful tools when used occasionally. Excess use of them will create pressure on the dry strands and thus lead to breakage and dryness. It is better to use such tools when highly needed else avoid them on a regular basis if you want to have healthy hair. So follow the above routine for some days and see the difference in your hair.